Call me crazy… but Caleb sounds like Gary the Snail from ‘Spongebob Squarepants’ to me. LOL! He makes the little sound in this video – look out for it. 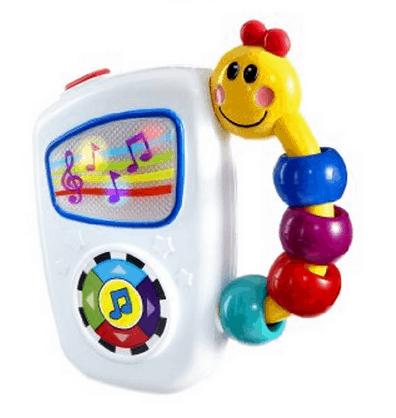 I haven’t opened many toys yet for Caleb since he is only 10 weeks old, but we have been having fun with the Baby Einstein Take Along Tunes. I looked on Amazon.com and it’s on sale for $8!!!! What a deal. There are 7 songs that come pre-programed and the subtle light show is something that my little one really enjoys. Also when he gets a bit bigger, Caleb can use the caterpillar handle to… take along this toy with him wherever he goes.